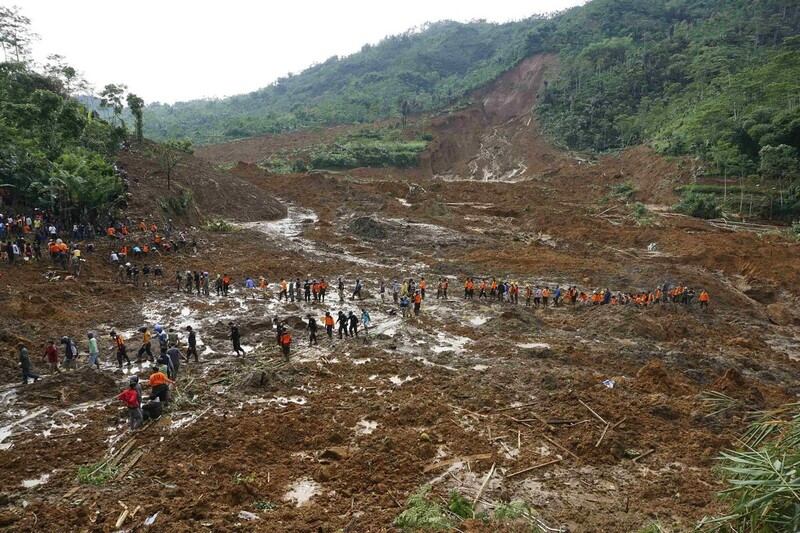 JEMBLUNG, Indonesia - Rescuers continued to search for more than 80 villagers still missing after a landslide on Indonesia's main island of Java killed at least 20 people, officials said Sunday. 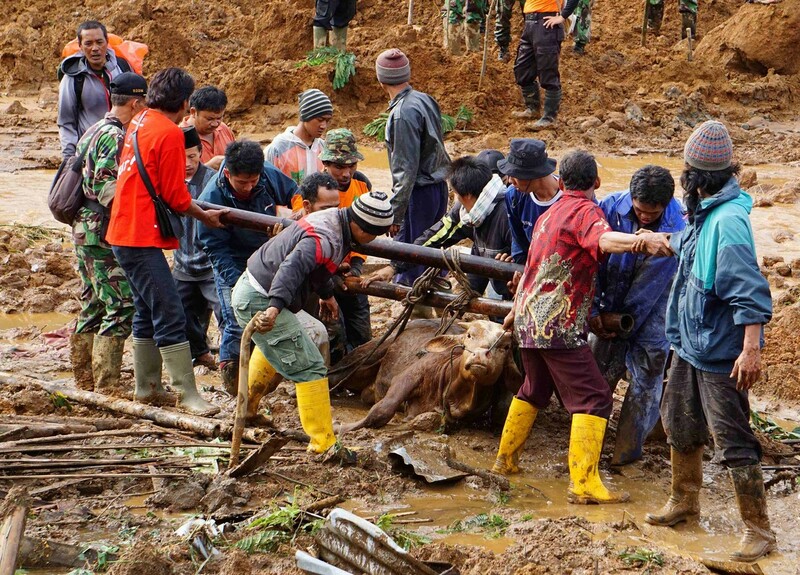 "As of Sunday, 20 people were killed... and 88 people were still missing," the National Disaster Management Agency spokesman Sutopo Purwo Nugroho said. Fifteen people were injured, including 11 seriously, and 577 people were evacuated to temporary shelters, he added. 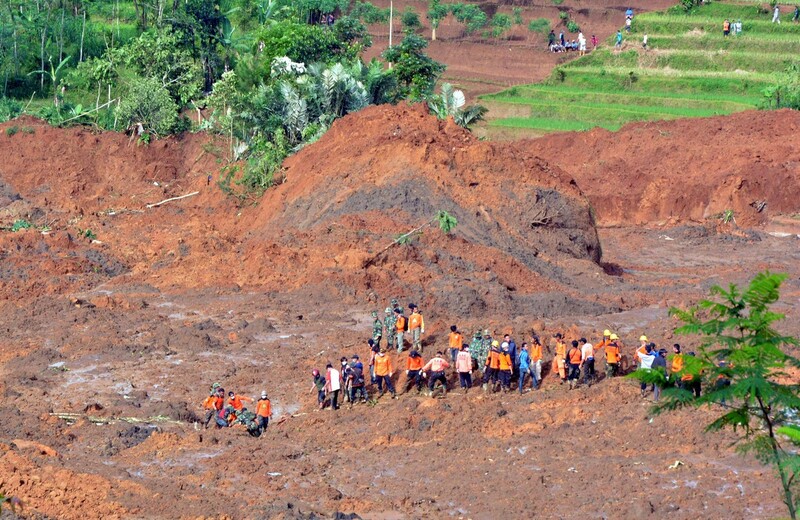 Around 1,250 rescuers, including police, soldiers and volunteers, were digging with shovels through mud and rubble to look for victims after torrential downpours triggered a landslide and hit Jemblung village in central Java late Friday. 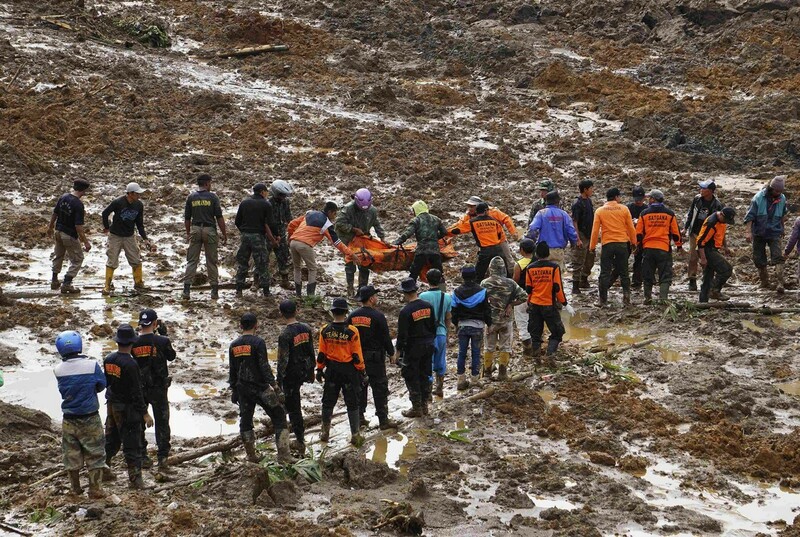 "Today the search for survivors will be carried out using heavy excavation equipment. 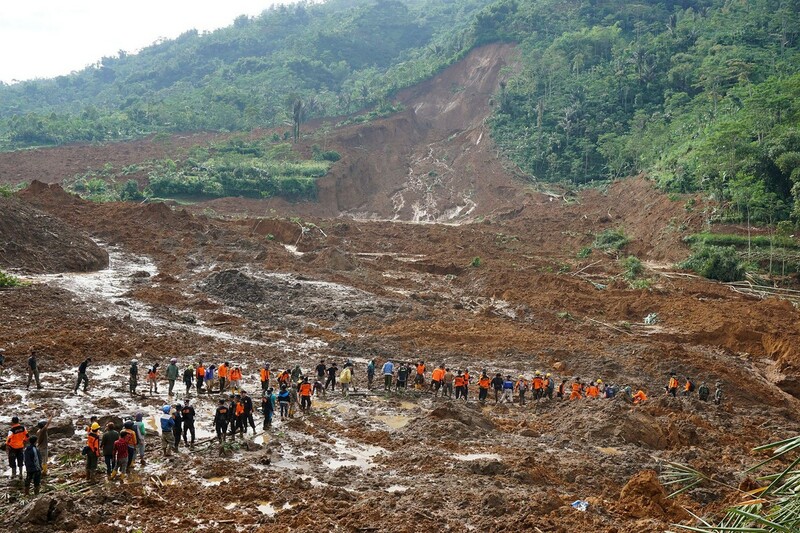 The landslide has blocked road access since yesterday," Nugroho said. 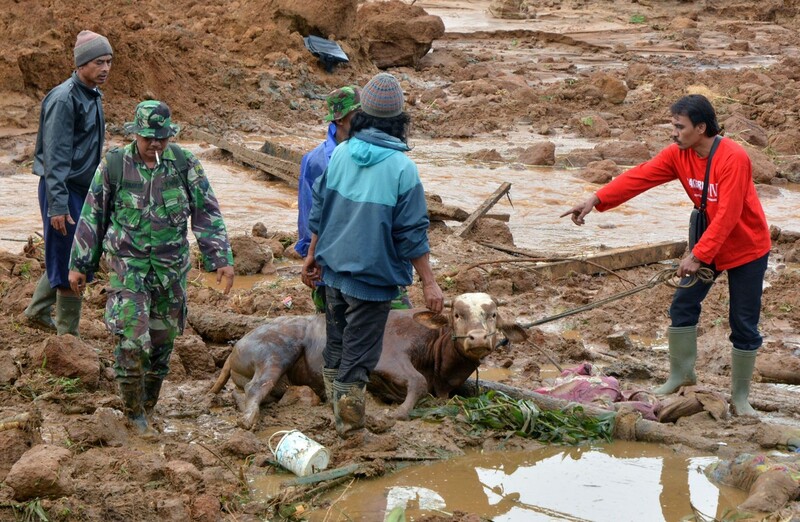 President Joko Widodo was travelling from the capital Jakarta to Central Java's provincial district of Banjarnegara on Sunday to meet with survivors. 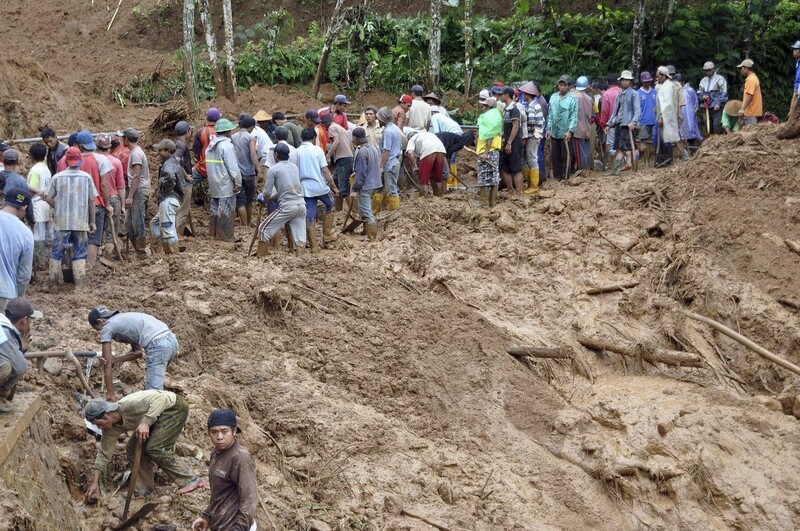 "We are trying our best to look and evacuate those still buried. 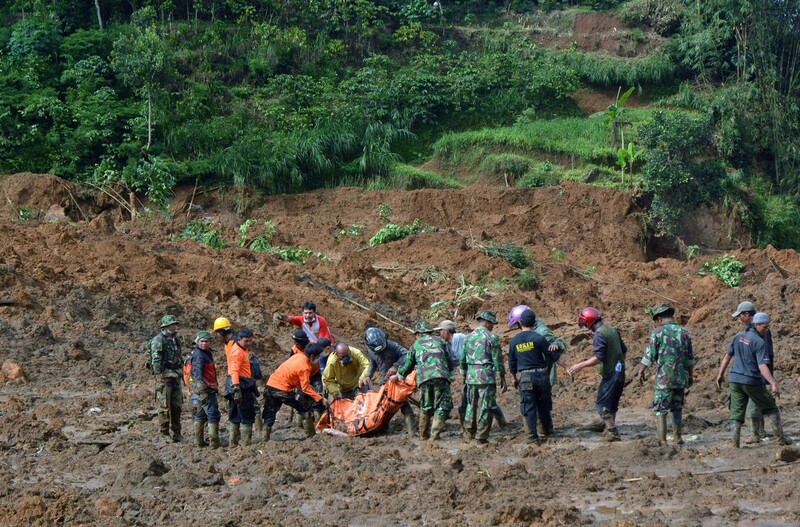 It's a big challenge because we are still using manual tools and the affected area is very muddy," Banjarnegara district military commander Edi Rahmatullah told reporters. 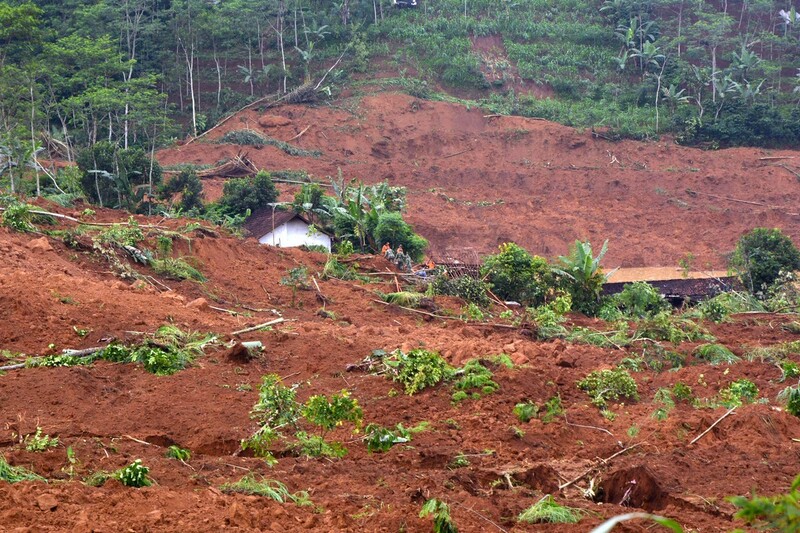 The national disaster agency estimates around half the country's population of 250 million lives in areas prone to landslides. 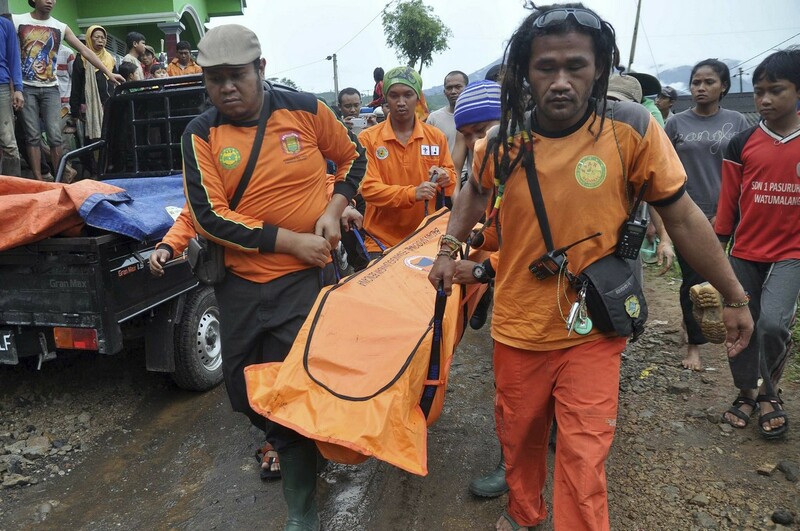 The vast Indonesian archipelago is one of the most natural-disaster-prone nations, and is also frequently hit by earthquakes and volcanic eruptions.